Snyder Insurance and Financial Services knows a thing or two about the subject. For over 35 years, we’ve been helping homeowners, businesses, and other Chicagoans to be prepared. To help you focus more on the great things our summers have to offer, here are some of the essentials for storm preparedness. Storm Preparedness Tip 1: Have a Plan! It’s important to tailor a plan to the region, and often even the city, that you live in. 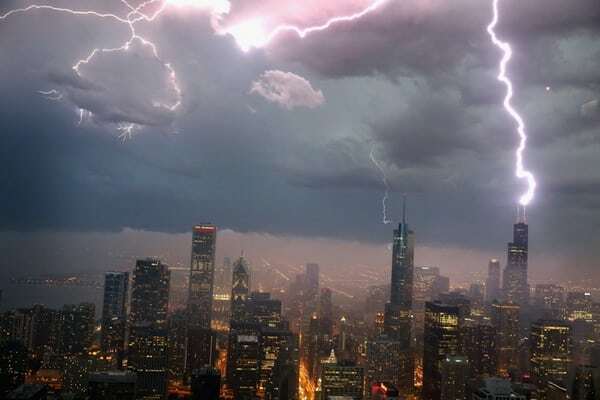 In the Chicago area, that means summer storm preparedness needs to include severe storms that can bring high winds and damaging hail. Chicagoans are no strangers to tornadoes, either. While severe storms and tornadoes have some things in common, they are still two unique emergencies that must be dealt with on their own terms. Part of storm preparedness means making sure any vehicle, business, or homeowners’ policies you have are all in order and offer you good coverage. Flood damage should be a part of this. Since most standard policies don’t automatically include it, double check yours. If it’s not there, you’ll want to get it added. If you think you don’t need flood insurance in your area, you may want to think again. And check with a quality, reliable independent agency like Snyder to help you determine what your flood insurance needs really are. Storm Preparedness Tip 2: Kit Up! Whether the storm forces you out of your home or forces you to bivouac inside your house for several days, storm preparedness means having a well thought out “evacuation kit” at the ready. This will decrease stress and provide important essentials for daily living and any typical medical emergencies that might occur. Set up your kit to have the very basics of family needs. A kit doesn’t necessarily mean a single, small bag. In fact, a general home kit designed to help your family make it through several days of power failure is critical. But in the event that your home becomes unsafe, storm preparedness also means that all family members should have an essentials kit of their own in the event of separation. Just make sure the kits are set up for absolute essentials rather than “luxuries.” Your kits should include the following. Food, water, and other essential supplies (like needed medications) to last the family for 72 hours. Printed maps. Often, electronics and wifi-dependent GPS devices can fail during severe weather conditions. Each of the individual kits should have a printed map. A good first aid kit. This should include all the basics like band-aids and large bandages. But, also, gauze, ace bandages, pain medication, antibiotic salve, and an eye wash cup. An eye wash cup is a small, specially designed vessel used for eye flushing emergencies. One more great addition to a well-stocked first aid kit is “liquid bandage.” And, of course, any essential prescription meds should be kept with the kit. A set of warm and durable clothing for each family member. Don’t forget to include extra socks and under-things, too! Good coats and properly protective footwear should be part of your storm preparedness kits, as well. Keep emergency bedding at the ready. Things that are warm and can be readily strapped to a backpack are thermal blankets, wool blankets, or camp-quality sleeping bags. Storm preparedness means being ready for the possibility of being evacuated to an emergency shelter. If that happens, you’ll be glad you included bedding in your kit plans. Have flashlights, battery-powered lanterns, and an emergency radio at the ready. Today, there are flashlights that are charged with a built-in hand crank. These never need batteries, a big plus in storm preparedness. Likewise, there are emergency radios that include a hand crank. In both cases, your family is ensured light and access to essential weather emergency information even when the batteries run out or electricity isn’t available. 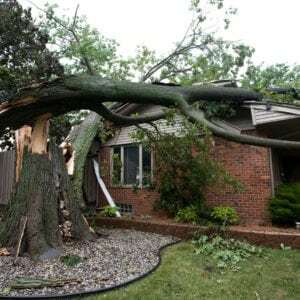 Storm Preparedness Tip 3: Ask Snyder Insurance! It may seem daunting when deciding where to begin with storm preparedness, but you don’t have to go it alone. Snyder Insurance is far more than an independent insurance agency. The Snyder Team has been an active part of the Chicago area community for over 35 years. So call Snyder at (630) 960-4848 or use the website contact page. You’ll see why we’re proud of being a top rated, comprehensive independent Illinois insurer serving the insurance needs of homeowners, renters, and business owners with excellence and caring.